Awww - who am I kidding? They’re ALL so lovely, each of these GQ covers. Just another one to add to my phantom stack of British GQ (Nov ‘18) issues. For some reason it has become very hard to find . . . The magazine itself or this particular issue? Thanks for asking, Sweeney Todd. British GQ, the magazine. Apparently, on Barnes and Noble’s (the largest disributor of “specialty” magazines around here) annual renewal list, British GQ was no longer considered to be a big enough seller (!) so October was to be their last issue in at least two of our local stores and a third is still a “maybe”. The last one told me to call back the end of October . . . Will do! 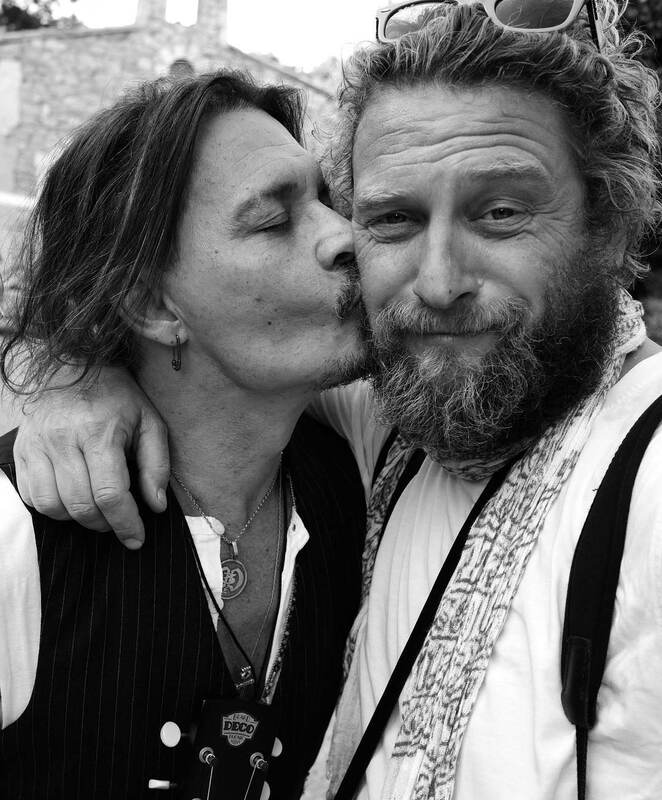 A better pic of Johnny and the photographer.